Purpose: Use this document as a reference for running the Deductions in Arrears report in ctcLink. 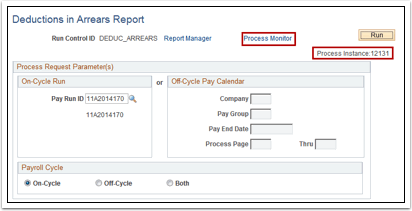 Click the Pay Run ID lookup icon and to select the desired pay run ID or enter the ID if known. 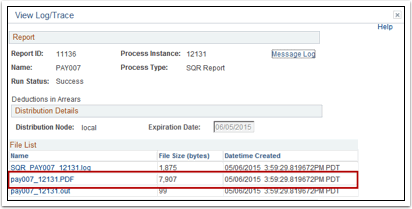 If the server does not prefill, select the PSUNX option from the Server Name drop-down menu.